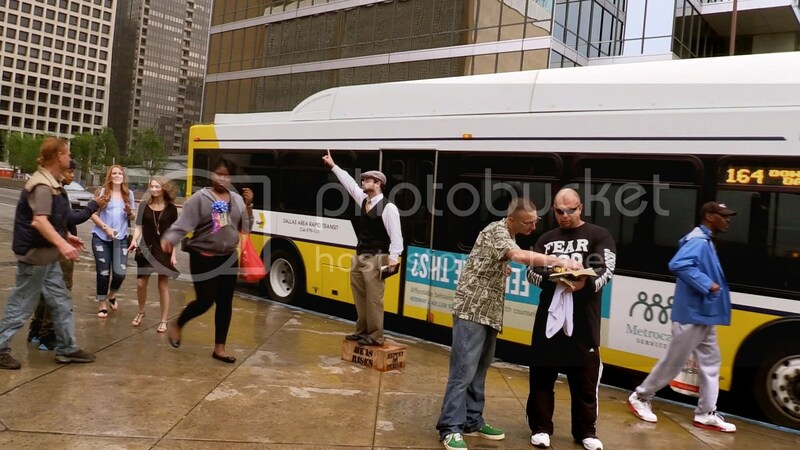 I have driven by a particular bus stop in Dallas numerous times on my way to the airport and every time I drove by it I noticed it had crowds of people hanging out and waiting for the bus. 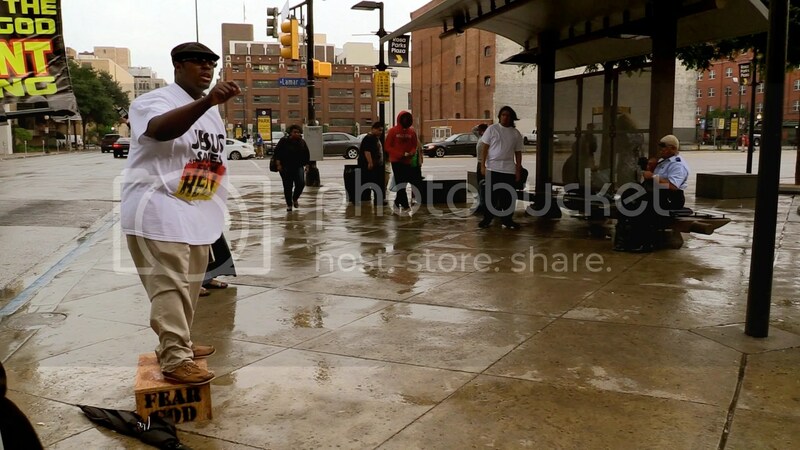 I first began my open air street ministry at a bus stop in Connecticut. Bus stop preaching is probably my favorite as far as street preaching goes. There is a captive audience for a good ten or twenty minutes. 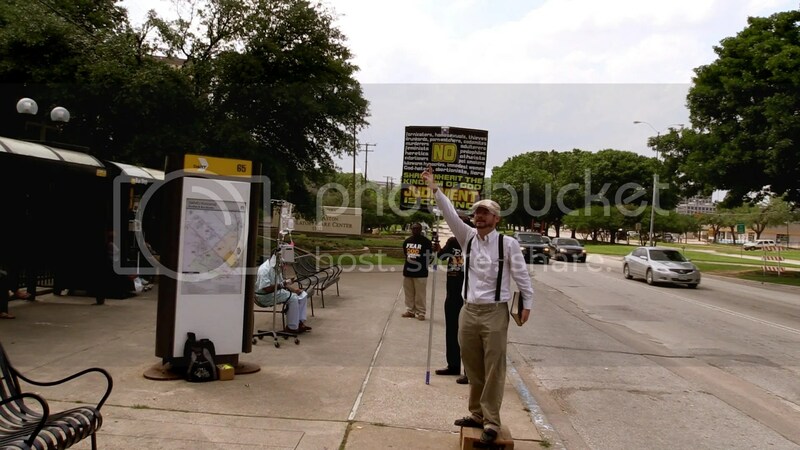 So I teamed up with some other local brethren in Dallas and went out to preach at this bus stop. The area was particularly busy and good for street ministry. The bus stop was in front of a hospital and so people from the hospital would come out to catch the bus, take a cigarette break, etc. There was also a Salvation Army across the street and so a lot of street people would hang out in the area. Since we were preaching in front of the hospital it was easy to springboard into the gospel. Some of the people there listening were sick patients from the hospital and others were visiting sick family or friends. We preached, “It is appointed unto man once to die and after this comes the judgment.” We encouraged them to get their minds on the things of eternity because death is coming to us all. And if they are seeking to take care of the health of their body how much more should they seek to take care of the health of their soul? I also took this as an opportunity to pray for the sick. 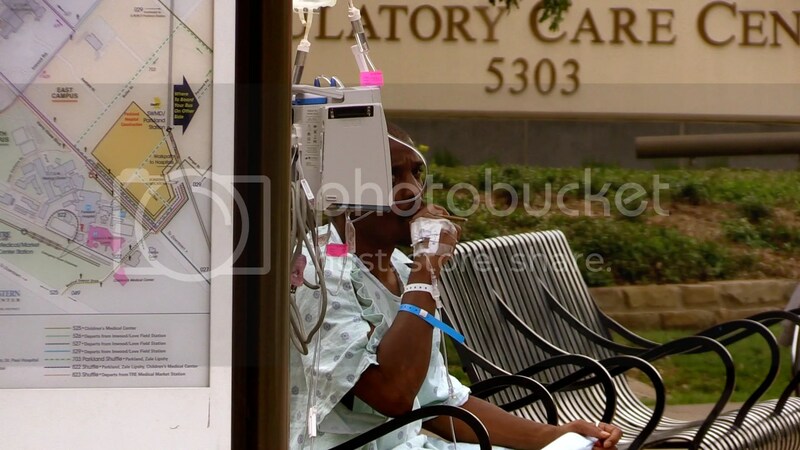 One man walked by me with his IV stand and could not walk very fast. I asked him if he wanted any prayer for healing. At first he said “No” and kept walking but then he turned around and said “Yes.” He said the doctors do not know what is wrong with him so I prayed for his healing and that it would be a testimony to the doctors of the power of God. Another sick woman also said she wanted prayer, but not so much for healing. She said she wanted to get closer to God! A hospital is a great place to go to pray for people! I’ve seen pictures on the internet of old fashion soap-boxes and always liked the appearance of them. 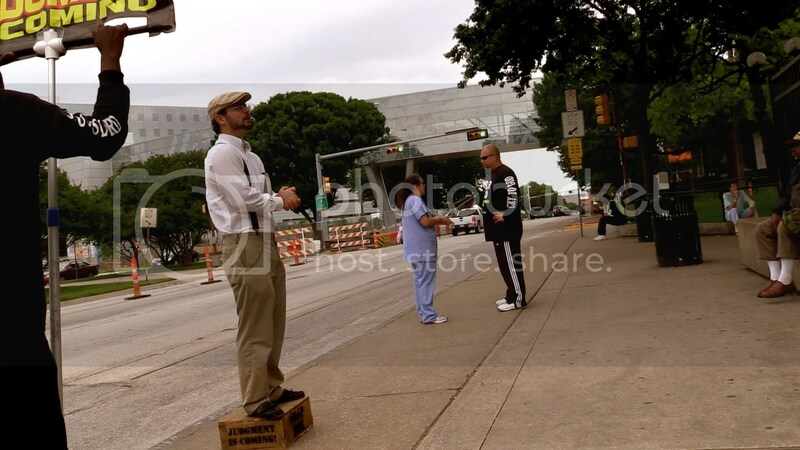 It is a real “classic” look for street preaching. So I took some old scrap wood I had in my garage from an old crate and built myself an old fashion looking soap-box. 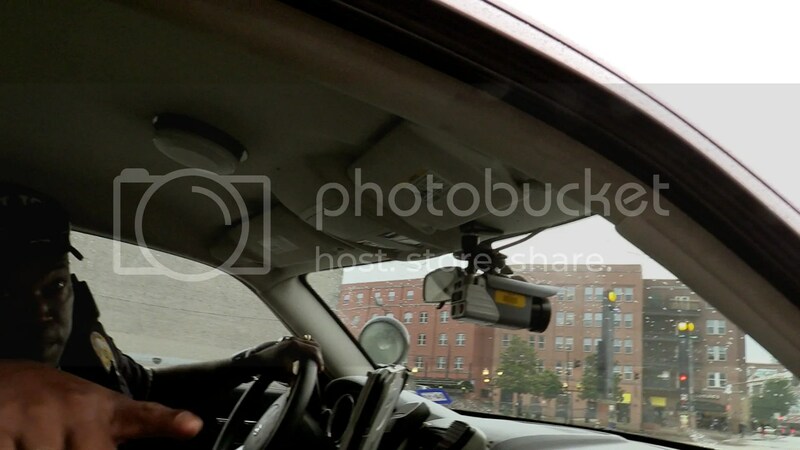 This was the first outreach that I used it and was happy to see it getting such good use. We had a good size team of brothers out there and we would all take turns preaching. 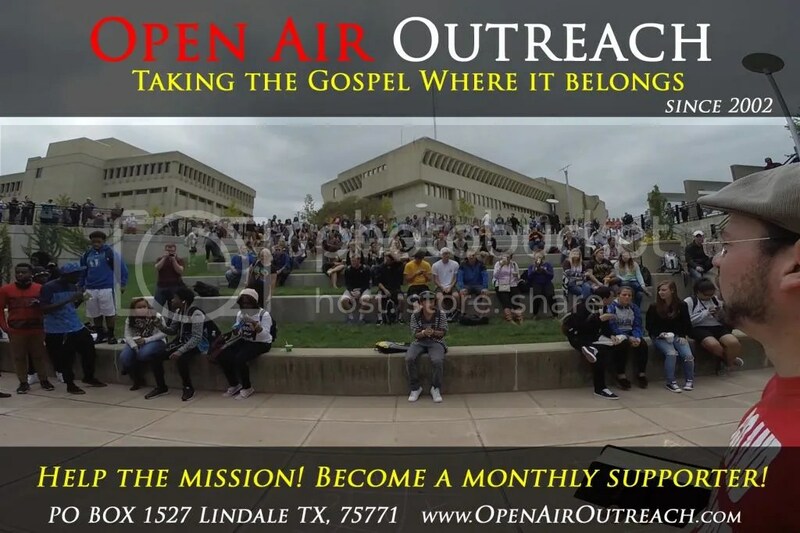 The street preaching team in Dallas originally invited me to join them on an outreach to a Music Festival but when we arrived at the music festival in the early afternoon it was dead. That is why we went to the bus stop I had seen many times in front of the hospital. I thought that maybe it was too early for the Music Festival so we would return to it later in the evening. But when we returned in the evening, it was still dead and there was nobody to preach to. However, I noticed on my way back to the music festival the GPS tried to take me on a bridge that was no longer a drive through bridge. It was now closed off and was a walking trail. I could barely see a few people walking on it from that side. When we went to the other side, I found out where the bridge was and there were tons of people on it. 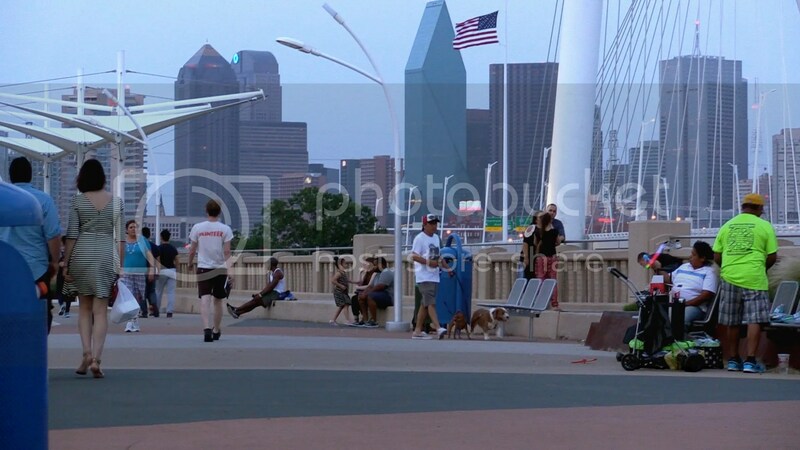 Apparently the city of Dallas turned this bridge into a park and it is a very busy place. When I saw that there was a Taco truck set up there I knew it must get a lot of foot traffic. Venders like that are a good sign. 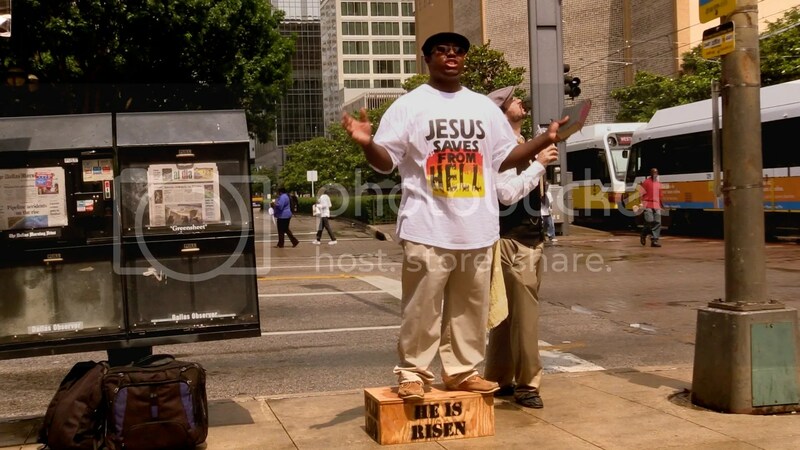 So we decided to preach there. Throughout the evening we preached as people walked by. There is a beautiful view of the city from that bridge, which is even better at night when they light up the buildings. In the middle of the bridge is a children’s park with a playscape and everything. 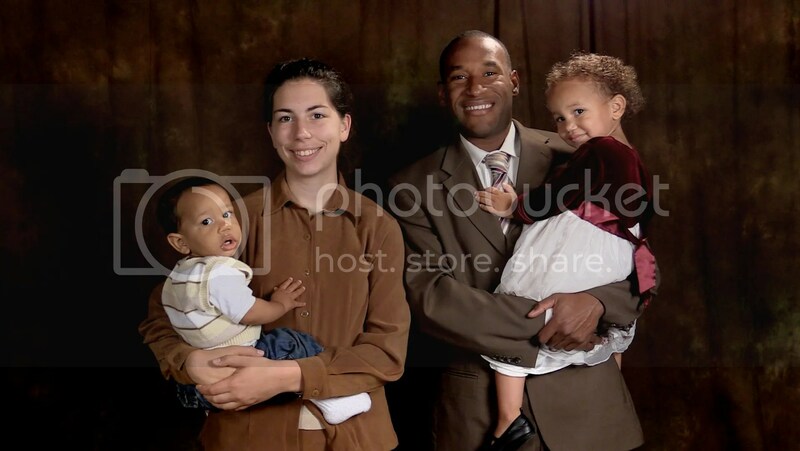 So many of the people that we were preaching to were families. This provided us with a unique opportunity to reach people that we normally wouldn’t get to reach with the gospel. On a campus we reach college students, at bars and clubs we reach the party scene, but at a park like this we reach people young and old. 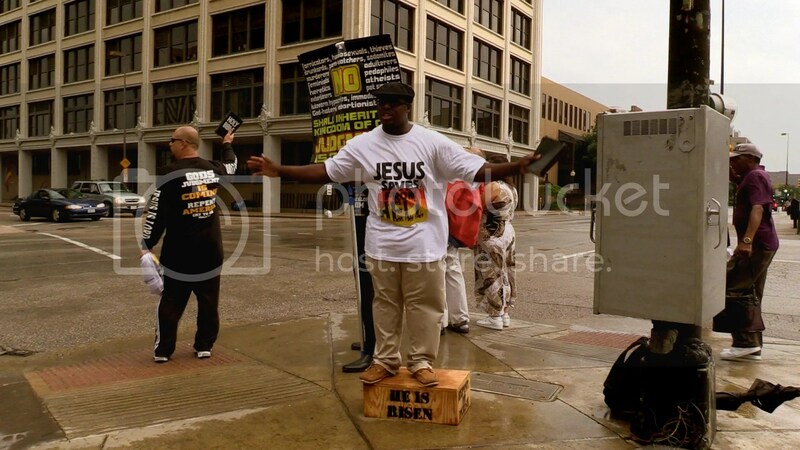 Brother Clarence is a local brother that I took street preaching about a year ago to the West End of Dallas and also the Grassy Knoll where JFK was shot. 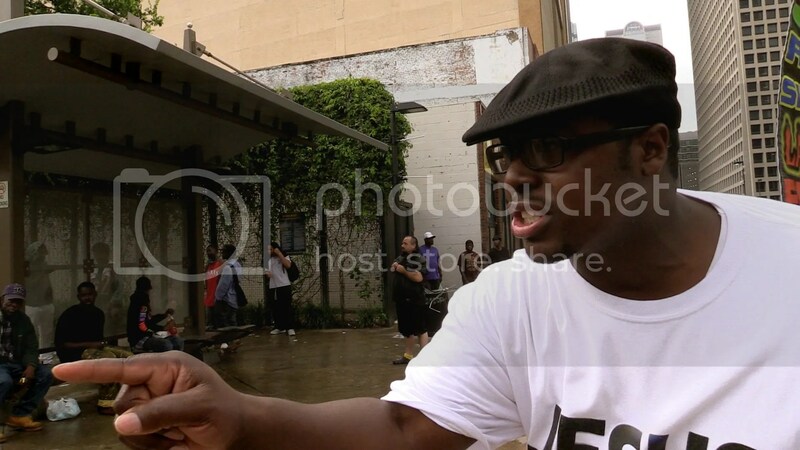 Since then he has been faithful to get out to the streets of Dallas and preach on a consistent basis. He’s been able to build up a nice little team too of other local brethren. I was happy to find these new preaching locations where he could lead the team to. The bus stop was new, this bridge was new, and you will see later that I also showed them some other new bus stops they had never preached at before either. 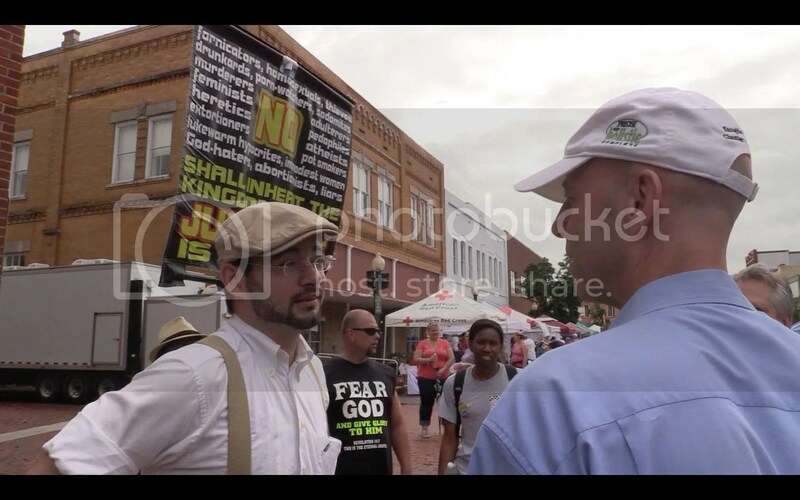 Fellow campus preacher Ross Jackson joined us on this outreach. He has primarily preached on the East Coast like North Carolina but was visiting us and staying at my house for a few weeks. He’s a very fiery preacher and I was encouraged and edified listening to him preach. To my surprise this bridge was very busy even at nighttime. In fact, it may have been busier at night than during the hot afternoon! There are lights that light up the bridge and the city skyscrapers also light up which shows a beautiful city skyline. So this new location has become a great place to preach in the afternoon, evening, and even into the night! I was told my one of the brothers that he has even seen crowds out there around 11:00 pm. 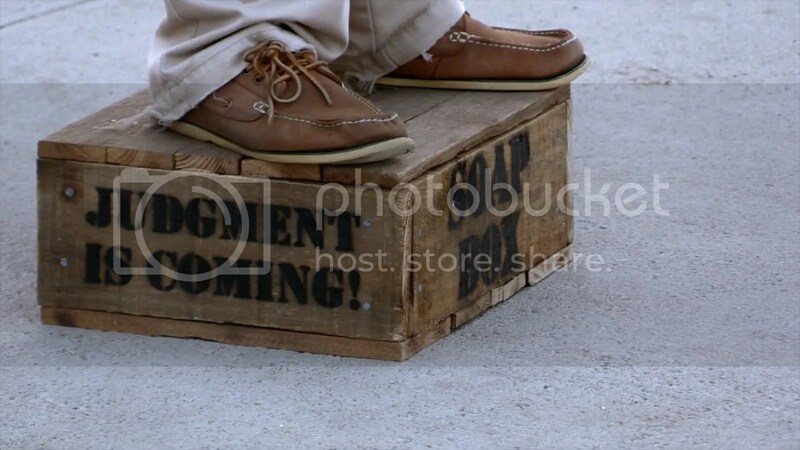 I went to a church yard sale and spotted this wooden box that I thought would make a great soap-box. It was used for garage storage so I took it home, cleaned it up, made some custom stencils, and sprayed painted gospel messages on it. Brother Clarence with the Dallas team really liked my other soap-box that I made for myself that we had used in a previous outreach so I decided to give this to him as a gift for him and the team. The only condition was that it would be put to good use. Clarence gratefully accepted! For eleven years now I have been preaching at this West End transit area and every time it is different. It is always busy with people (the rougher inner-city type) but sometimes the Police hassle me and sometimes they do not. 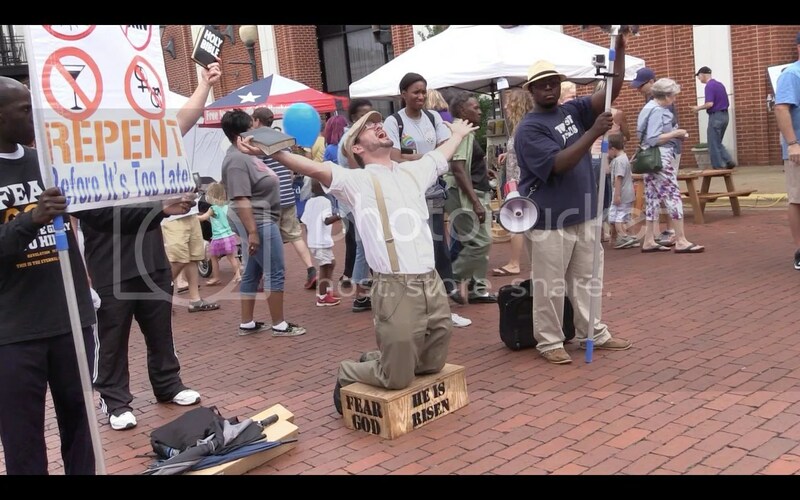 I stood up on the soap box and preached the gospel hot and strong. I warned about sin and hell to start off with. “Jesus warned that the wicked would be ‘cast into hell’. The word for ‘hell’ Jesus used was ‘γέεννα’ and geenna was the garbage dump of Jerusalem. 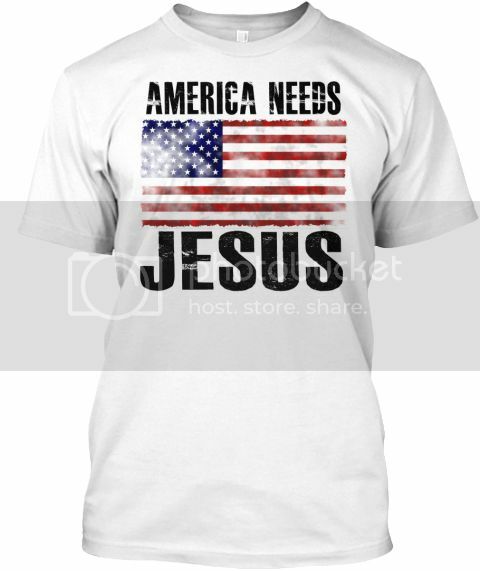 By way of analogy Jesus was saying that hell is the garbage dump of the universe. The word he used for ‘cast’ was ‘βάλλω’ and it is where we get the word ‘ball’ from. 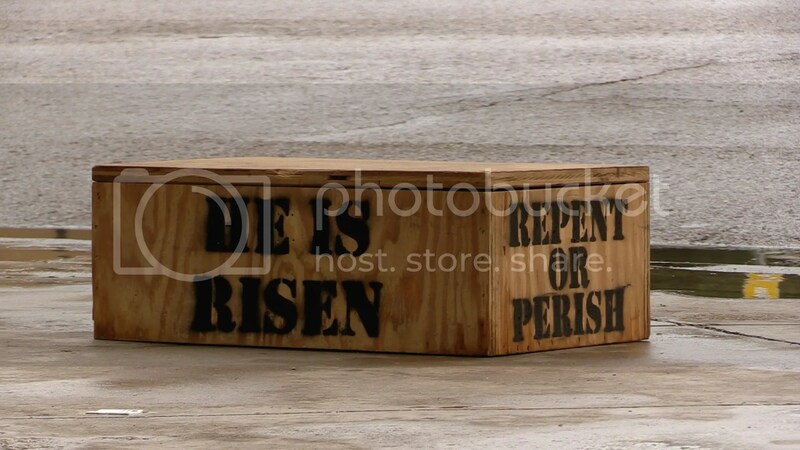 And so Jesus taught that the wicked will be tossed into hell just like we throw away our trash into the garbage. 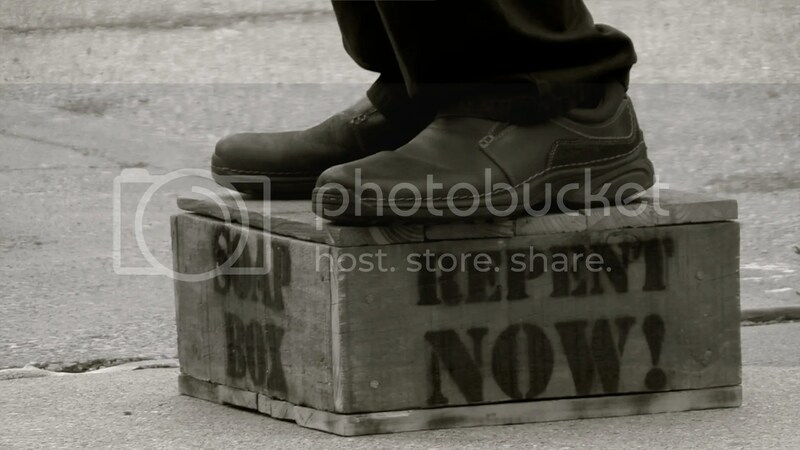 Through your sin you make yourself trash – good for nothing but to be cast out and burned!” I then went on to preach on the atonement, repentance, forgiveness, etc. 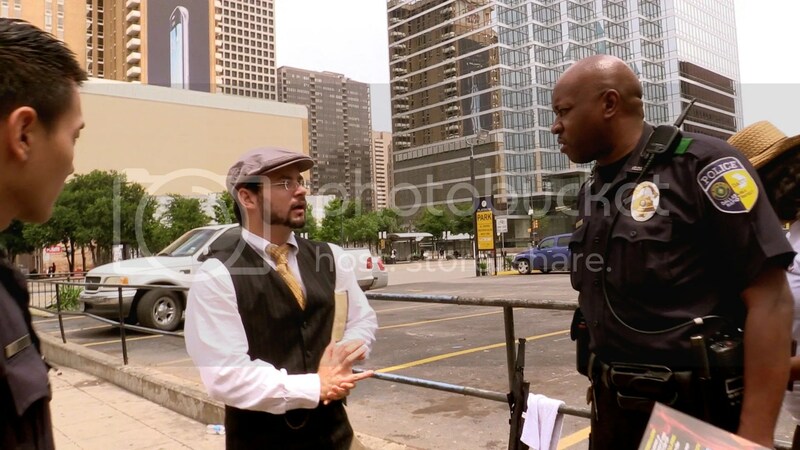 I wasn’t preaching for too long before the Dart Police arrived and told me I was preaching on Dart property and would need special permission to do so. 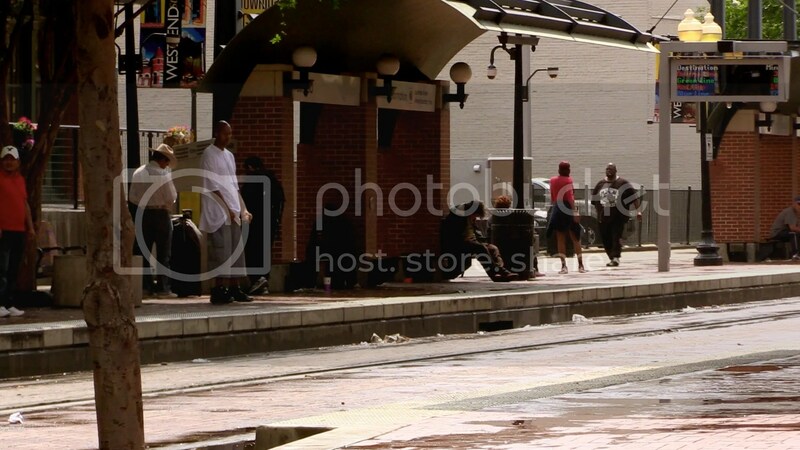 The Dart Police have bothered me in years past, though this area looks and operates like it is public sidewalks, but brother Clarence told me he has been preaching there many times without problems from the Police. 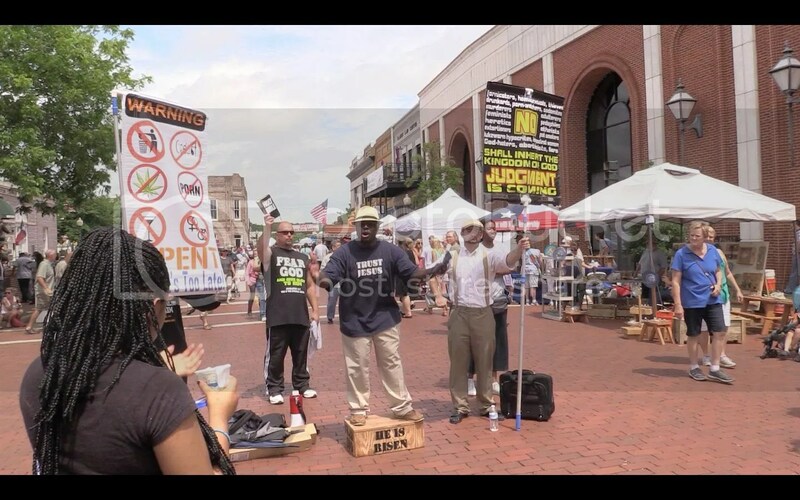 So I decided to just preach where Clarence usually preaches but sure enough the Police came to shut me down. They tried to make me leave the whole area but I told them that I knew for a fact that a particular area across the street, right next to the city newspaper stands, was public property and not property of Dart. So that is where we moved to preach, though the Police were not happy about it. This new location next to the newspaper stands is also next to a bus stop that drops people off every once and a while. 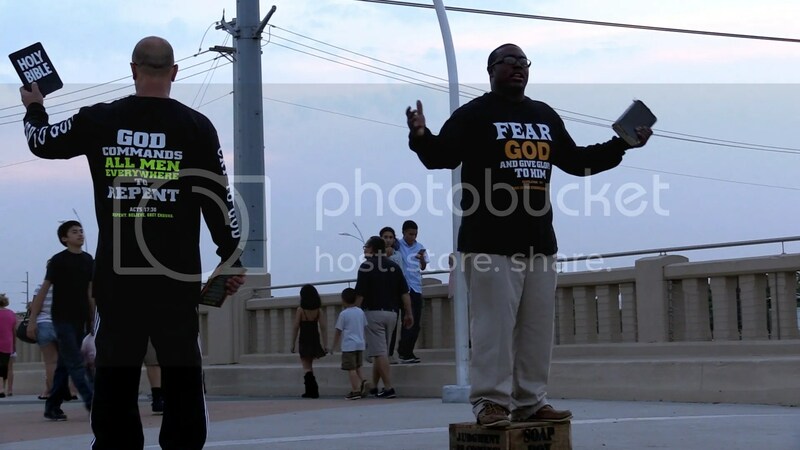 So it provided us with an opportunity to preach to the people waiting for the trains, being dropped off by the trains, and also people being dropped off by the buses. Most people just walked by as we preached. Some would stop and listen. Only a few heckled us. 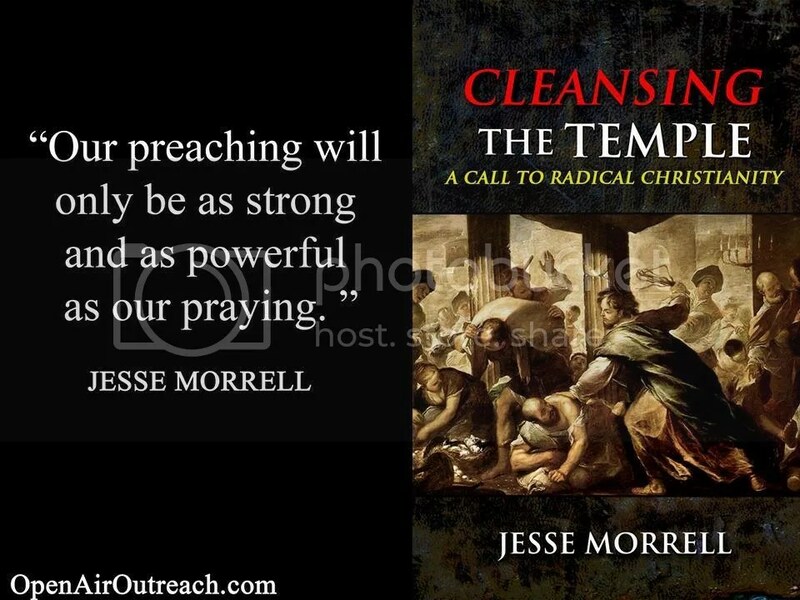 I especially enjoy preaching to the troubled youth because I was a troubled youth locked up in a Detention City when I first heard a preacher preaching the gospel hot and strong. I had never heard anyone preach that I was going to hell before and it really opened my eyes and ultimately changed my life. I hope that the same thing would happen to many of these young people. Across the street from the train transit area is a busy bus depot. It is also owned by Dart, just like the train depot, but there is a city sidewalk that we can preach on. 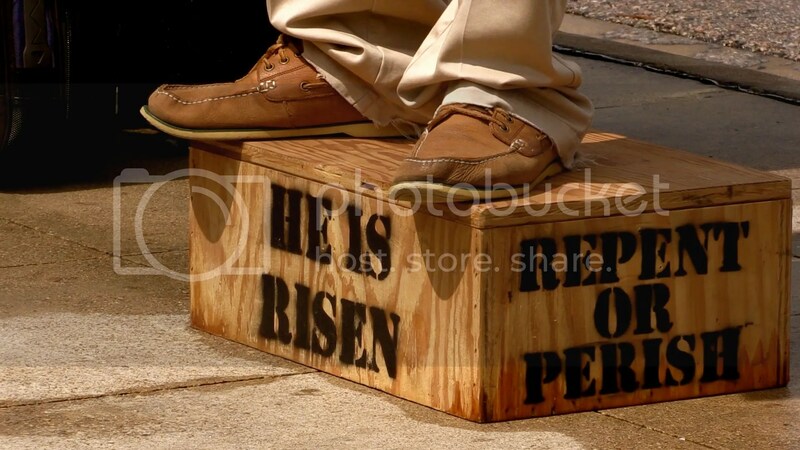 I preached right next to a city sewer crate so that if the P0lice hassled me, I could point to the sewer crate as proof that I was on city property. 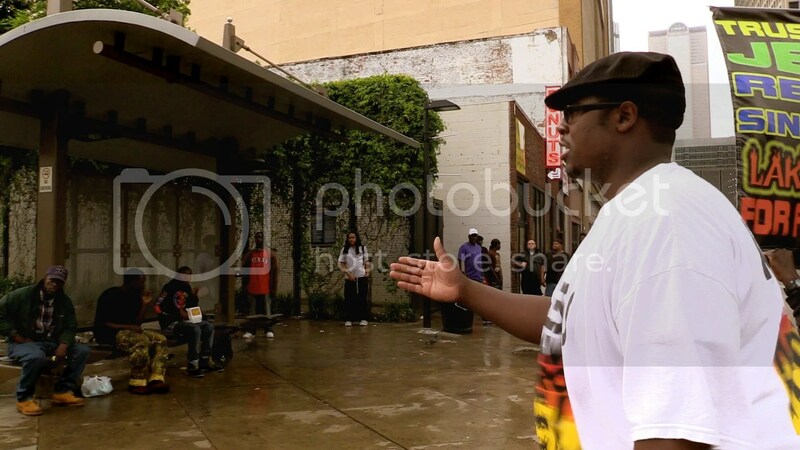 It was raining on and off but we brought our umbrellas so it was OK. At this new location numerous people stopped to listen to us preach and I think that the rain added a dramatic effect upon it. We moved to yet another new bus stop that was very busy with people. A sister from Clarence’s church joined us and stood up to testify and witness. She did a really fine job and people at the bus stop paid attention to what she was saying. I had never preached at this bus stop before but had seen it many times and was happy to finally preach there. Sure enough the Police bothered us again. 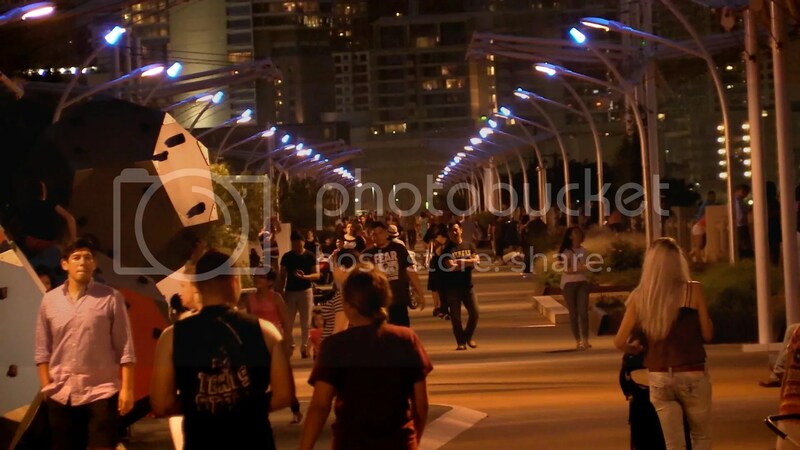 They again claimed that we were on Dart property though I said that the public had a right to the sidewalks there. They were the only sidewalks available on that street so obviously the public has a right to them, since we cannot walk in the street. 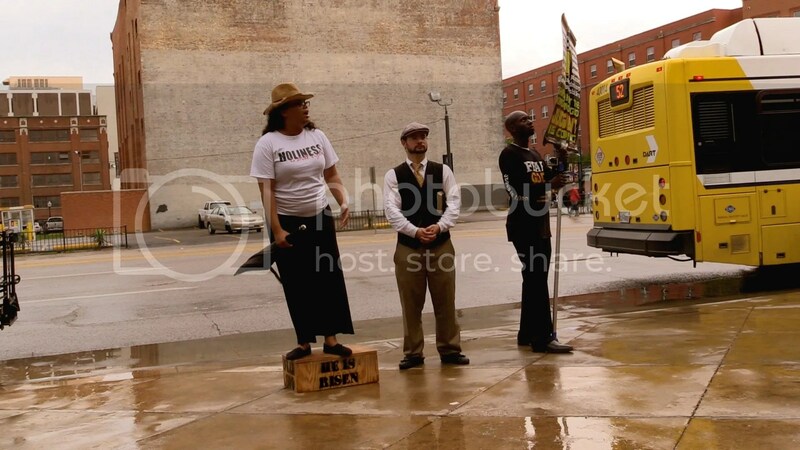 Nevertheless, I told the Officer that we would move to the intersection and preach next to the crosswalk pole, as that was obviously bought and paid for by the city. He wasn’t happy with that but apparently didn’t want to argue over it. This area was very busy with people. The bus stop where we started became dead by this point so it was a good thing that we moved locations. We had no more problems from the Police for the rest of the day. Another Police Officer stopped to listen to what we were saying and then gave us some encouraging words when he saw that we were preaching the gospel. The city of Dallas is a city full of much violence, drugs, etc. 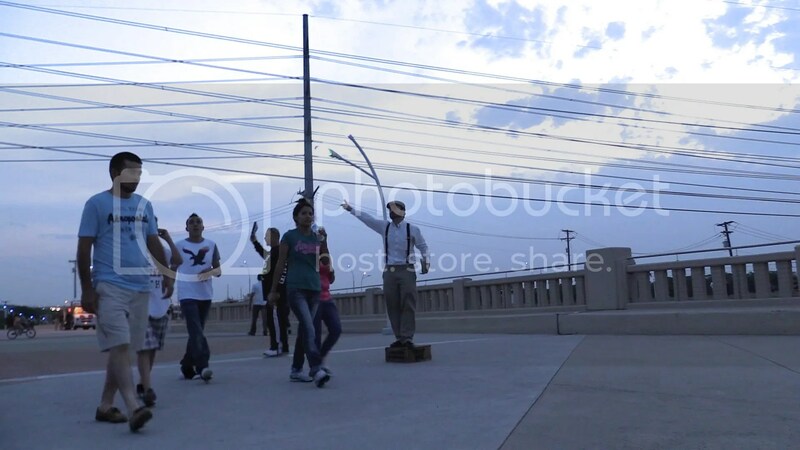 There are various gangs and Mexican cartels in the city. 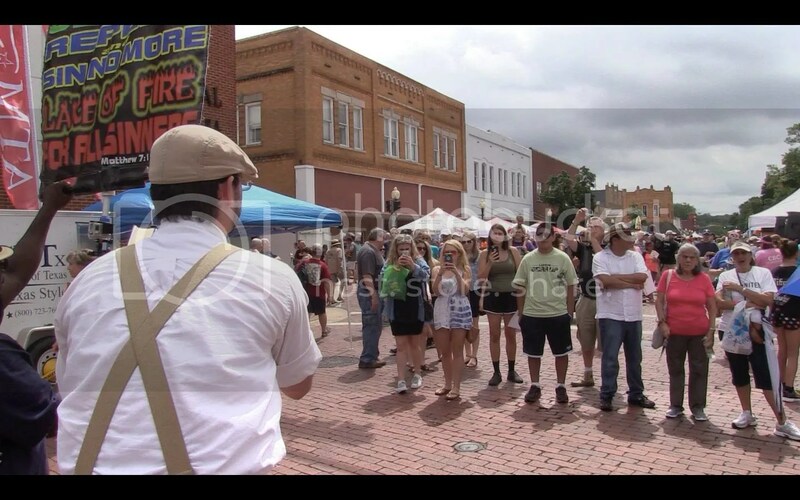 By taking the gospel to the streets, we confront the sin and sinners head on. 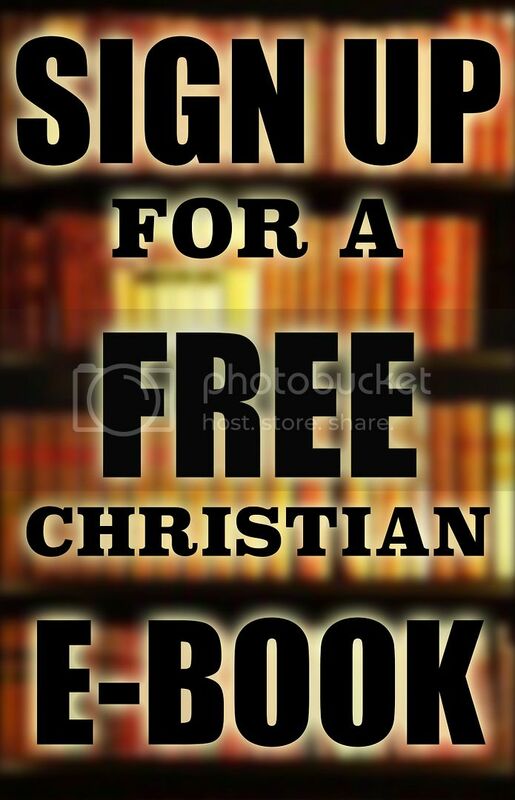 That is the way evangelism is supposed to be. In the book of Acts you do not see the Apostles putting on major crusades where they invite all the churches to come. Instead, you see them preaching out in the open air. 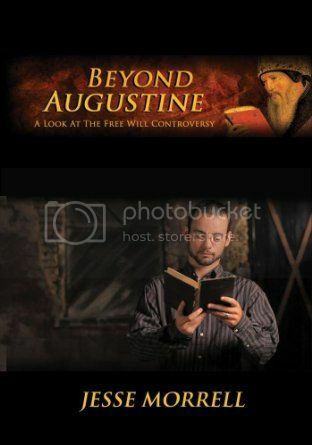 The Apostle Paul went and disputed daily in the market place. 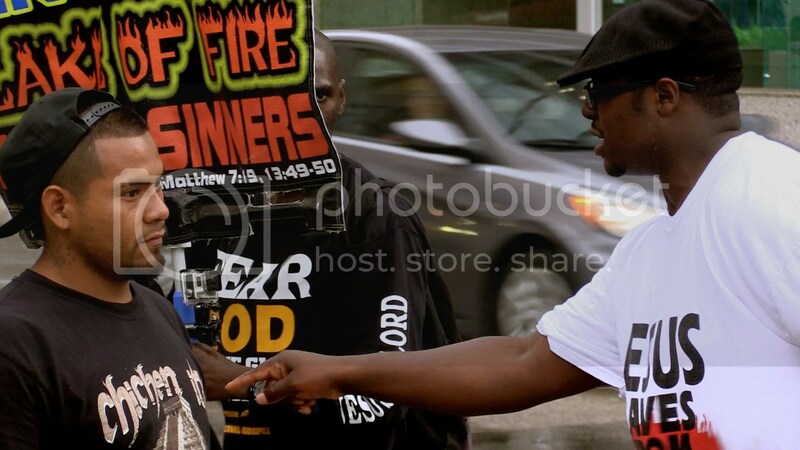 The gospel belongs on the streets! This spot was particularly nice because it had a bus stop on the left and another one on the right. The crowds continued to grow as well. We had anywhere from 20-30+ people in the crowd at a time. 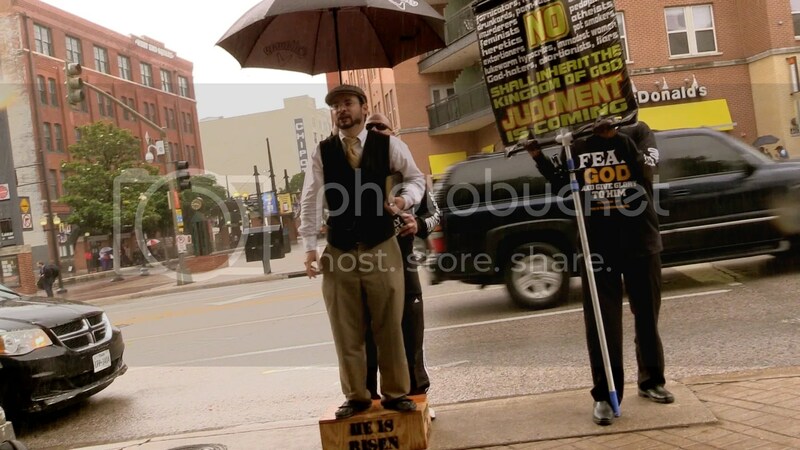 Bus stop preaching is one of the best forms of street preaching because people congregate at bus stops and wait around for an extended period of time. We all took turns preaching. 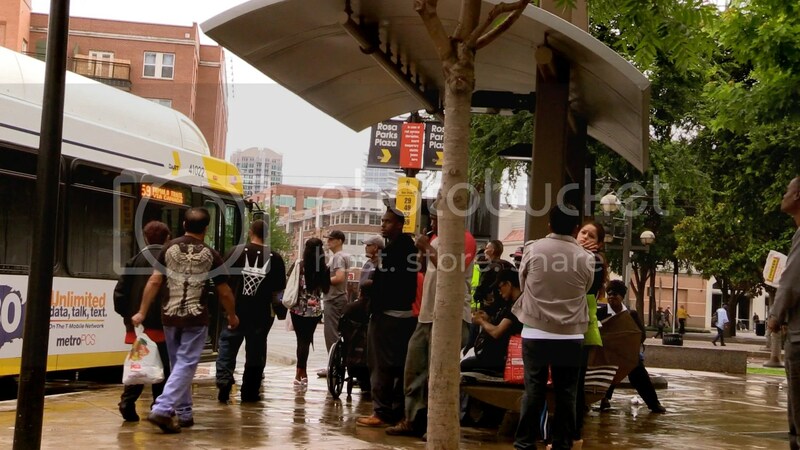 People sat under the overhangs, some got on buses, some got off buses, some walked by on the sidewalks, etc. It was still raining on and off and was extremely windy. The wind even broke one of our umbrellas. We preached in the rain but at one point the rain and wind became so bad that I had to stop to take cover. 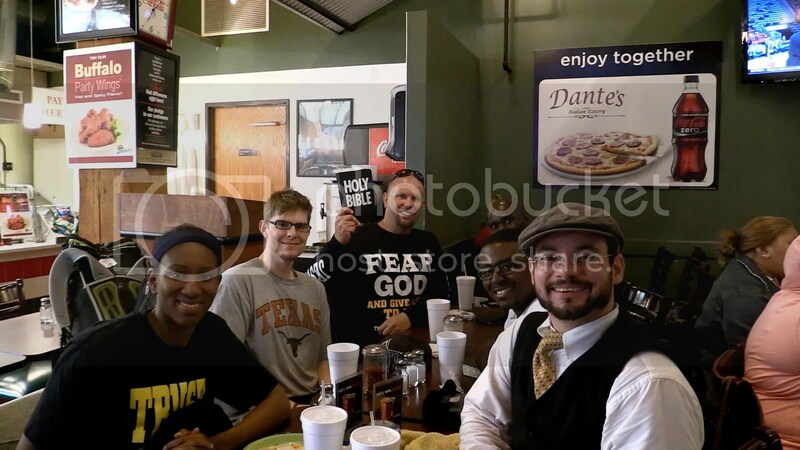 We all went out to eat when it was raining so heavily that we could not preach. The Lord must have led us to this particular pizza place because when we went in one man saw our signs and t-shirts and said he wanted to talk to us. 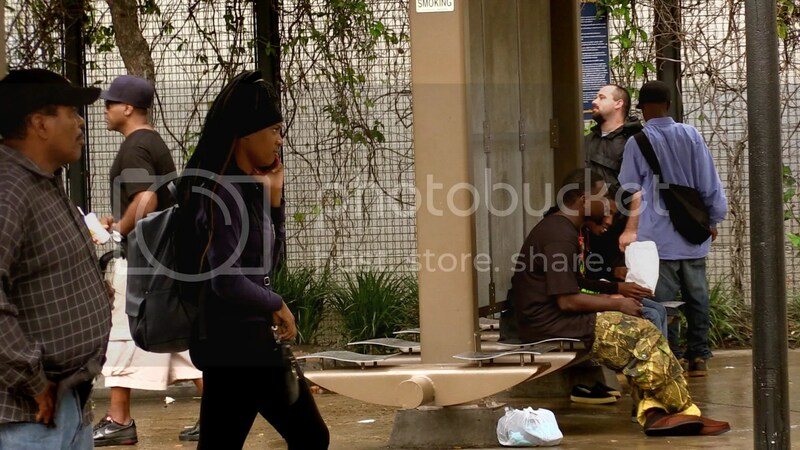 When I sat down to talk to us it turned out that he has felt the Lord leading him into full time street ministry and this was his first day stepping out in faith. He said he had a tent and he was going to be sleeping in the woods. 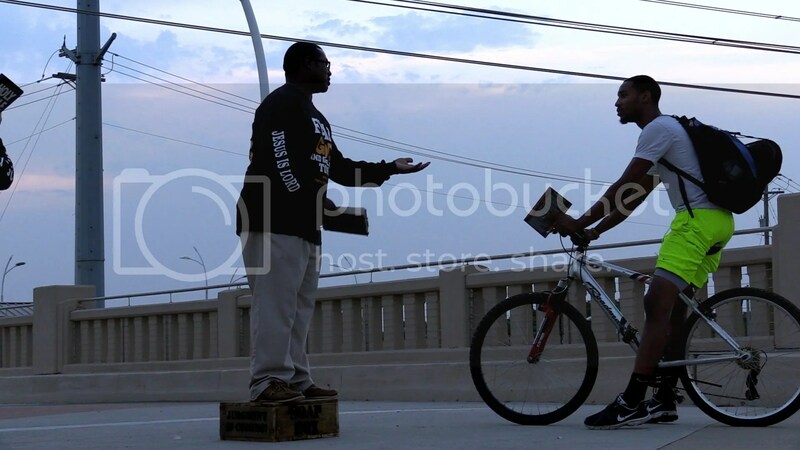 I encouraged him and told him that when I first stepped out in faith, I lived in my mini-van. As it turns out, he was already a member of my Facebook group called “The Street Preacher Movement.” He felt it must be confirmation from the Lord that he ran into us that day. 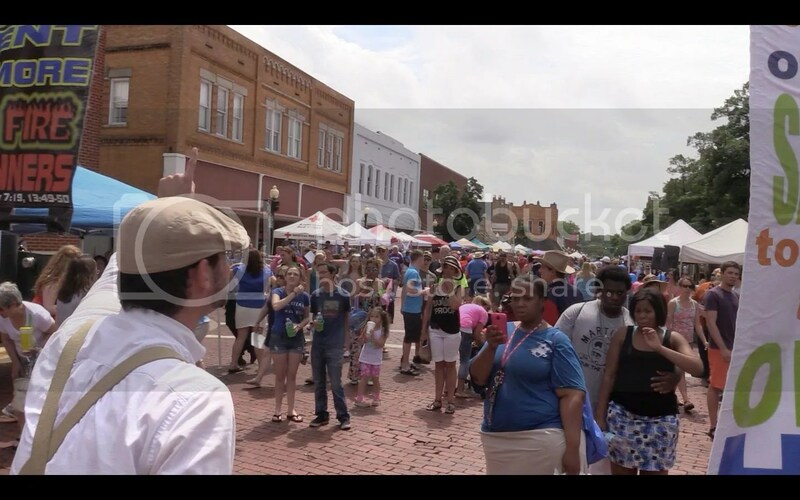 My friend Roger in Nacogdoches told me that there was a large Blueberry Festival going on in his city and invited me to join him for an outreach. 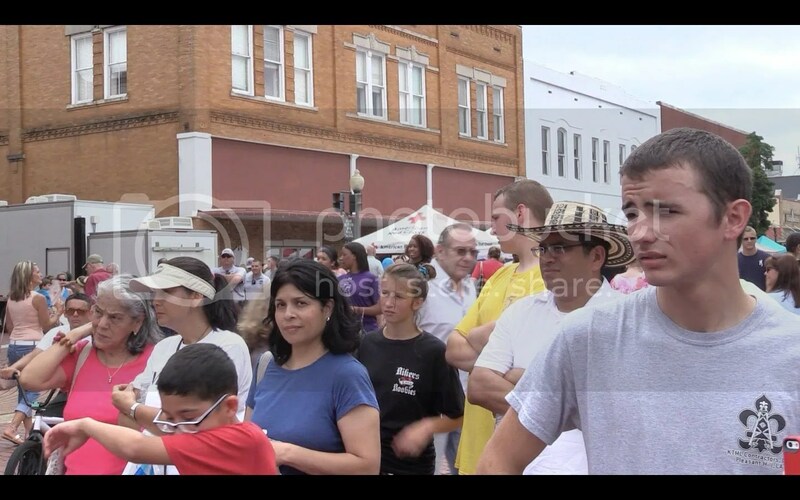 I had never preached at a Blueberry Festival before and knew it was a family oriented event so I thought it would be a great opportunity to witness and testify for the Lord. When we first began to preach I was approached by the event organizer who tried to tell us that we had to leave. But as it was a public festival on public property and there was no admission fee but was open to everyone, he could not make us leave. In fact, to tell us to leave just because of our religious beliefs and practices is discrimination. He was cordial and said he was a Christian but firmly asked, “Will you please leave?” We declined. I told him that if he wanted a private event he should have had this festival on private property. He said that we should have gotten a booth in order to be part of the festival. If we had done that, he would have more control over us as to what we could and could not do. 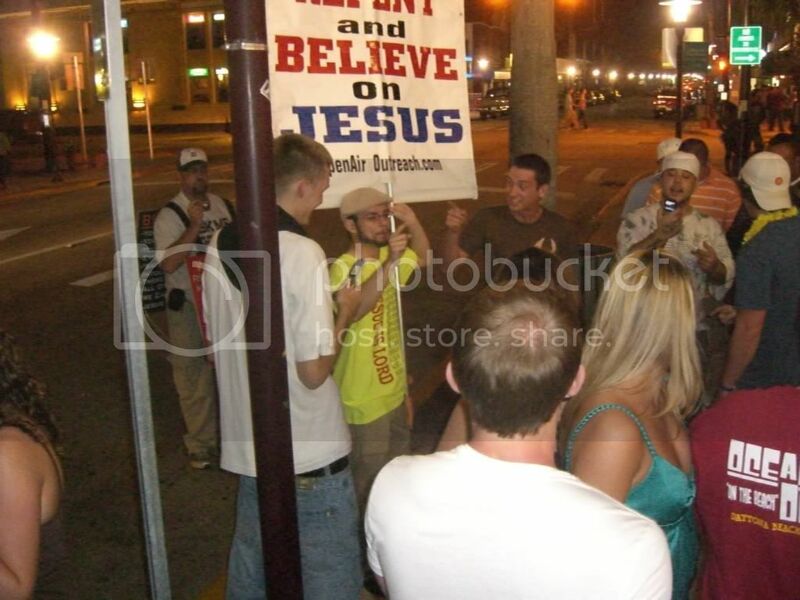 But as we had no booth but were simply utilizing free speech on public property, he didn’t have any authority over us. The Police never bothered us. That may be due to the fact that Roger contacted them ahead of time to let them know we were coming and that we knew what our rights were. Crowds of people stopped and listened to us throughout the day. There was little to no heckling really. Most people just stopped and listened quietly. 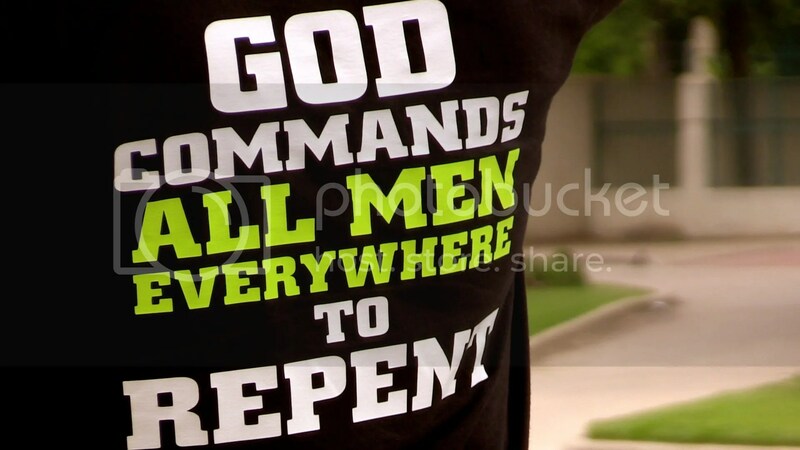 We preached a basic simple gospel message, telling people that sin leads to hell, Jesus died for their sins, and if they will repent and believe God will forgive them and they will be born again. 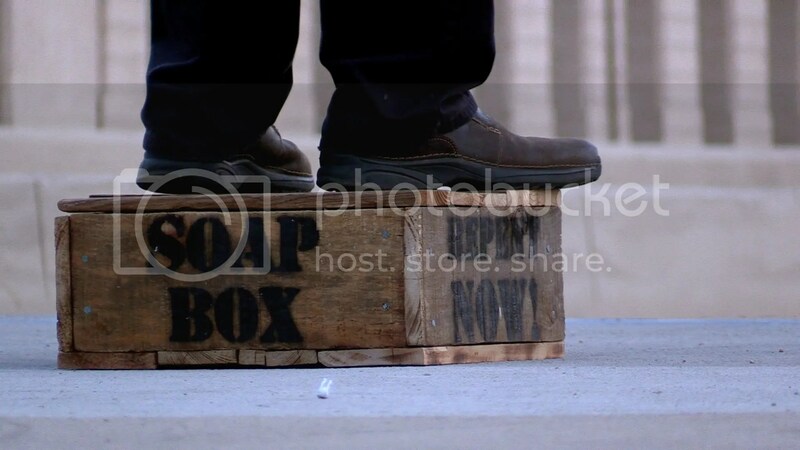 At one point I knelt down on the soap-box to illustrate crying out to God. The Dallas team also came all the way to Nacognoches to preach this event with us. That was a three hour drive for them one way, so six hours total of driving that day. But it was well worth it. We all took turns preaching and had nice civil crowds. Some of the brothers on the team are relatively new to street preaching and are taking these outreaches as learning experiences. 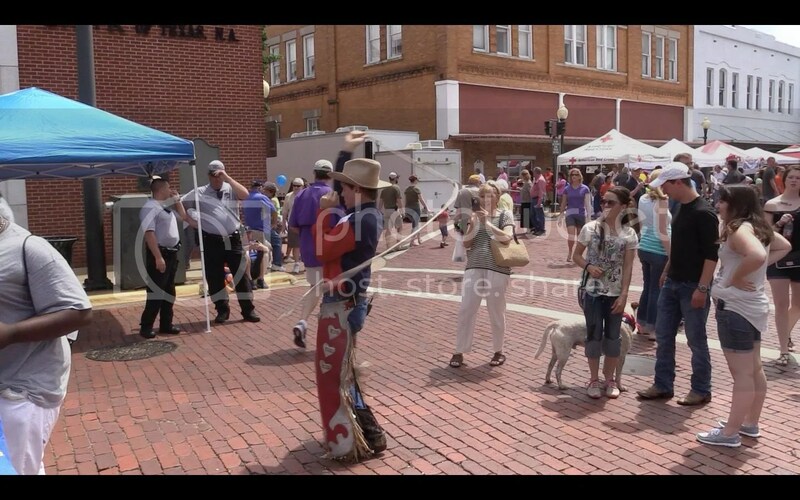 Max was a cowboy who was doing shows inside of the building we were next to. At one point he came out and began to perform right in front of us, trying to steal our crowd. 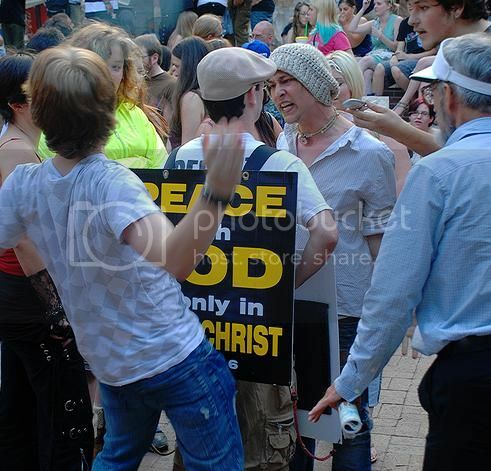 I gave him a quick sharp rebuke and he immediately stopped and began defending himself. It was obvious that he did not like our preaching. My rebuke was successful in getting him to move to another area where he was no longer a distraction from the preaching. Throughout the outreach many people came up to us to thank us for what we were doing. One woman in particular, in the picture above, came up to us in tears. She was under heavy conviction of sin. The team ministered to her on the sidelines and she did pray to the Lord in repentance for the forgiveness of her sins. We are happy to host traveling preachers and missionaries in our home whenever possible and have been blessed to have many groups and families come through over the years. 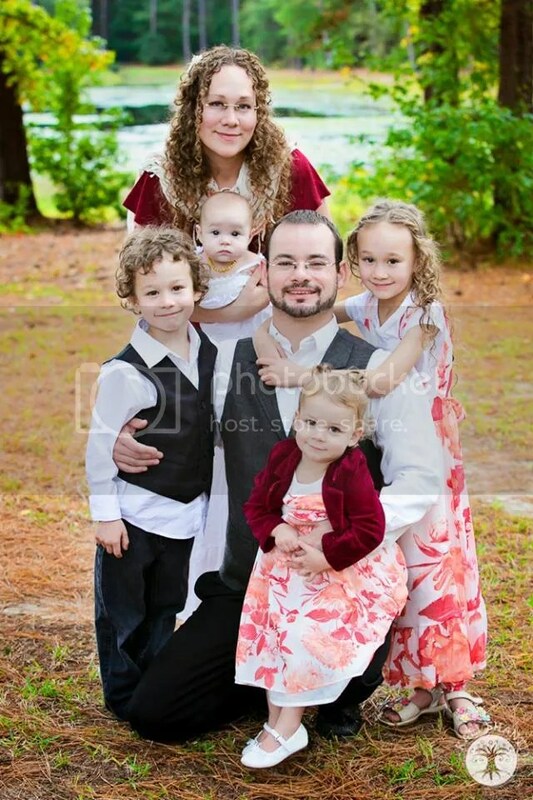 Recently Ross Jackson and his family stayed with us for a few weeks. 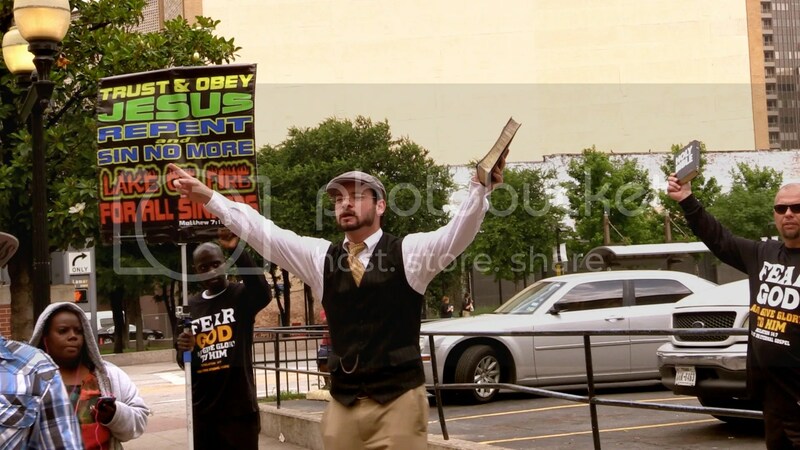 Ross is a traveling campus preacher. 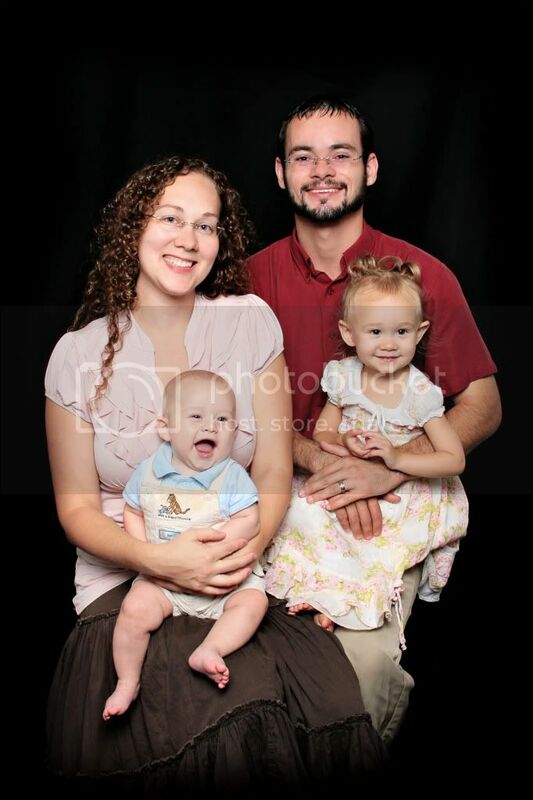 Shortly after he left we also had a YWAM missionary family stay with us while they were looking for their own place. 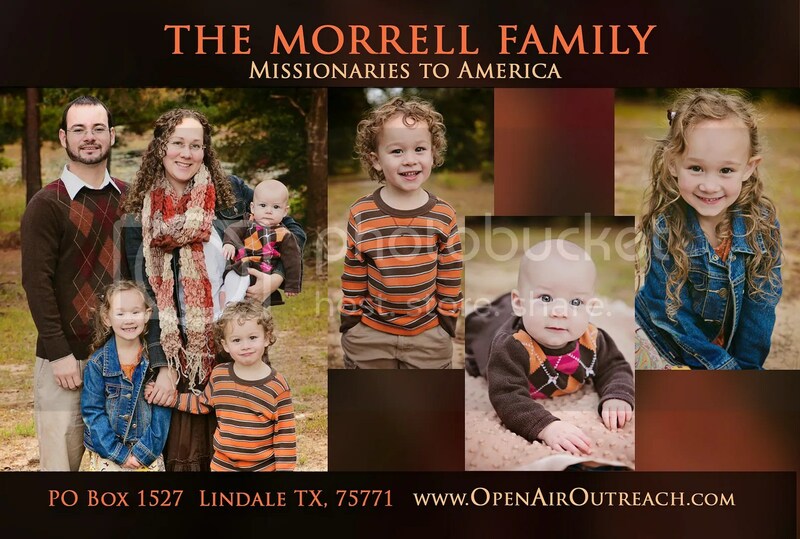 In the past we’ve housed missionaries to Mexico and even Wycliff Bible translators! 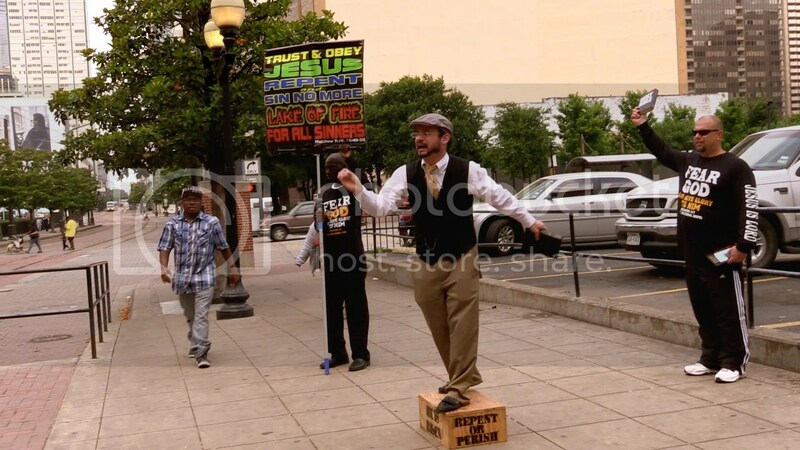 Even right now two traveling street preachers are with us. When we lived on the road many families were very generous with us and would host us on our travels, so when we got a house of our own we wanted to do the same thing for others. Hospitality is a form of ministry. This is our new family pulpit! We use it for any home school recitals and also for daily family devotions. We worship and pray as a family and then I share some scriptures and a word of exhortation with the kids. 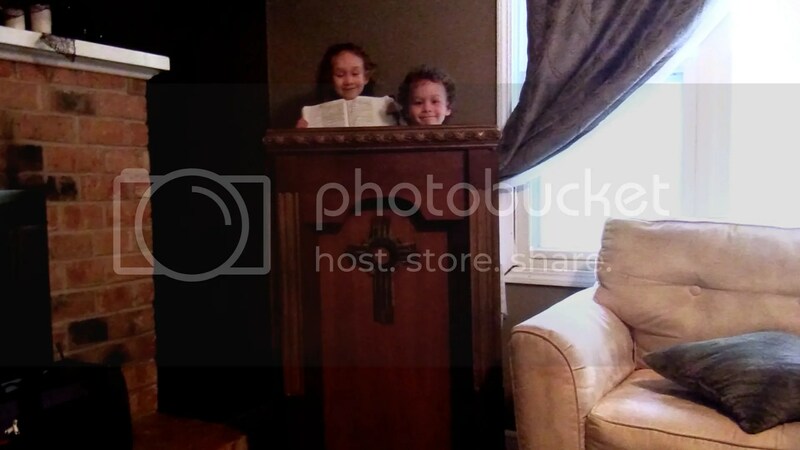 The children were really excited when I brought home a pulpit and enjoyed playing with it. If the average Christian family in America spent as much time studying God’s revelation as they have been watching the worlds television, we would have a revival in this country! 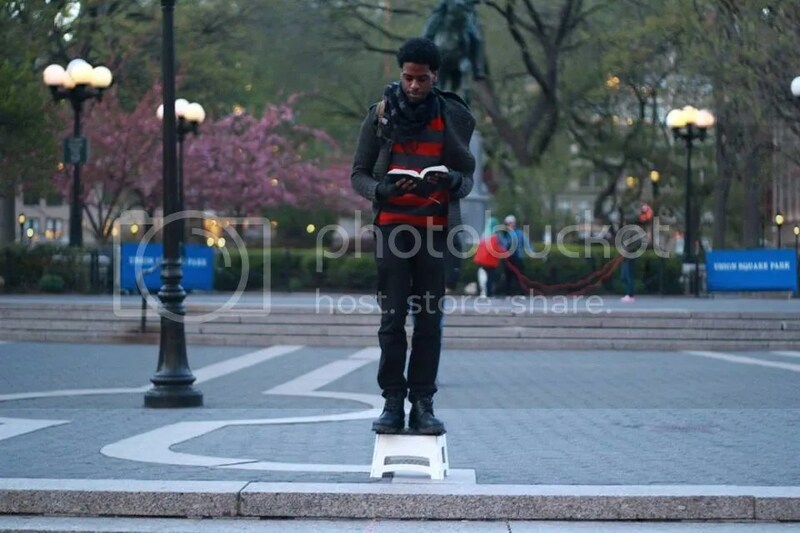 He is now preaching in the streets of New York! Praise God! Time is short and there is much work to be done! Pray for the Lord to send forth more laborers into the harvest field! 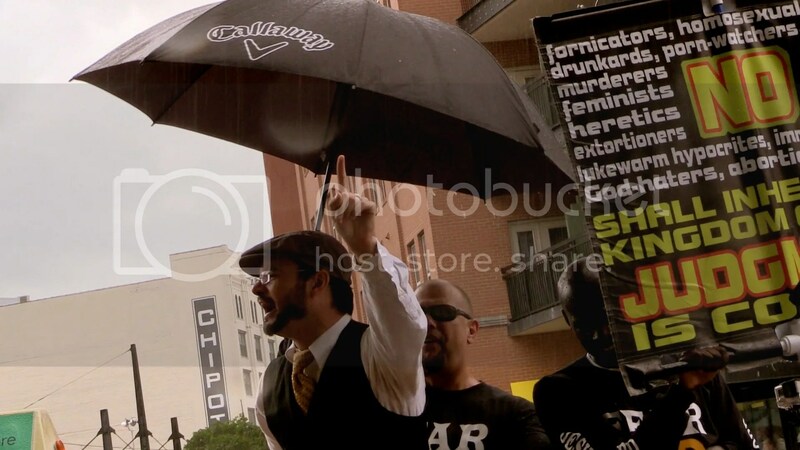 I’ll be preaching again this year at the Houston Gay Pride Festival. 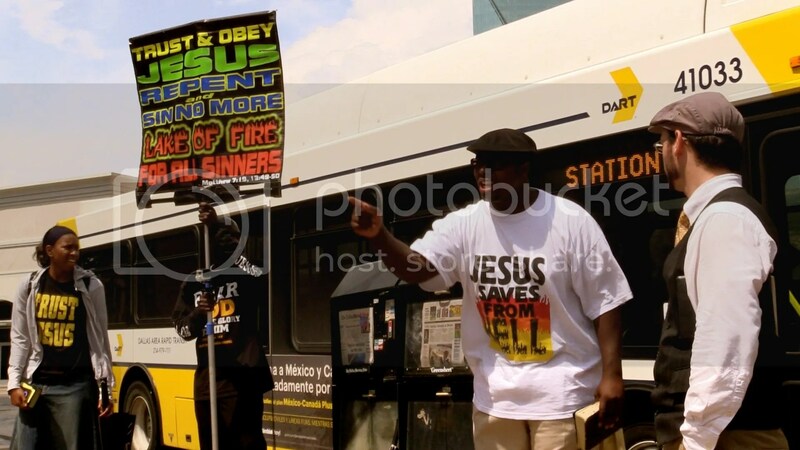 I’ll also be working with a local church to do some bus stop preaching in Houston. And I was blessed to be invited to speak at an Evangelism Conference in Gettysburg PA for the Fourth of July weekend. An enormous amount of people flock to Gettysburg that weekend so we will have plenty of witnessing opportunities. I am still in the process of forming my fall itinerary. One brother is flying me out to Ohio for the Cincinnati Oktober Fest. I’ll also be speaking at conference in Shipshewanna Indiana. Others have mentioned the possibility of flying me out to there area but have not finalized those plans yet. 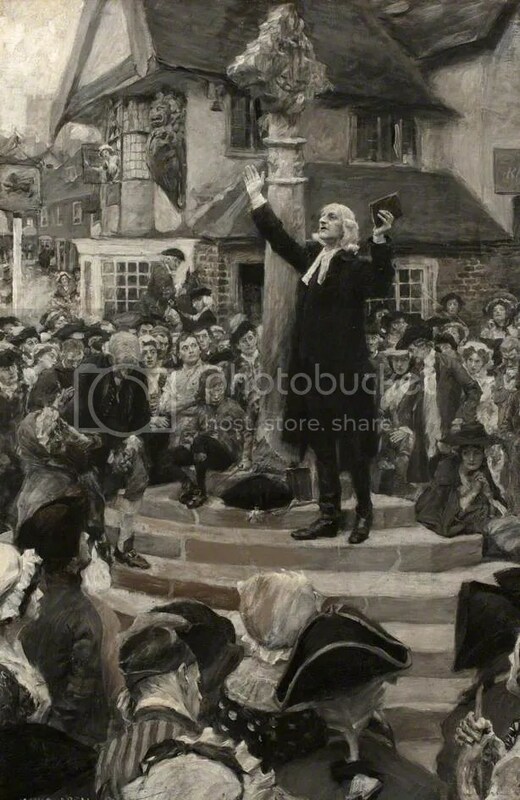 If anyone else would like to invite me to come and preach in your church or to minister in the open air in your area, now is the time to extend an invitation as I am planning my itinerary. 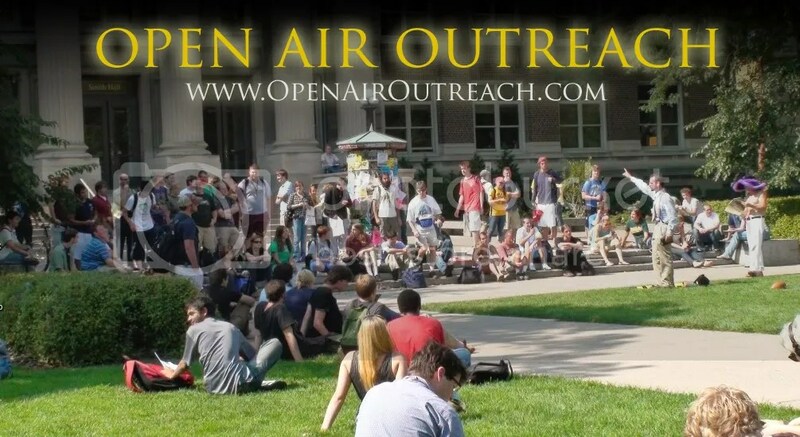 Is Open Air Preaching Effective? 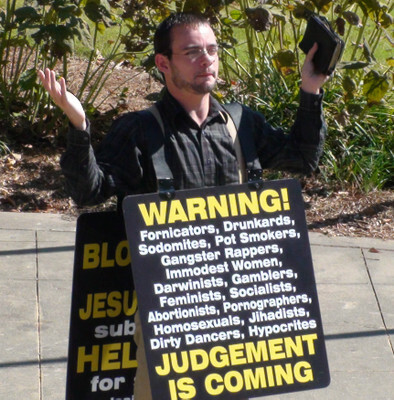 Should Preachers Use Words Like Whore & Other Graphic Terms? 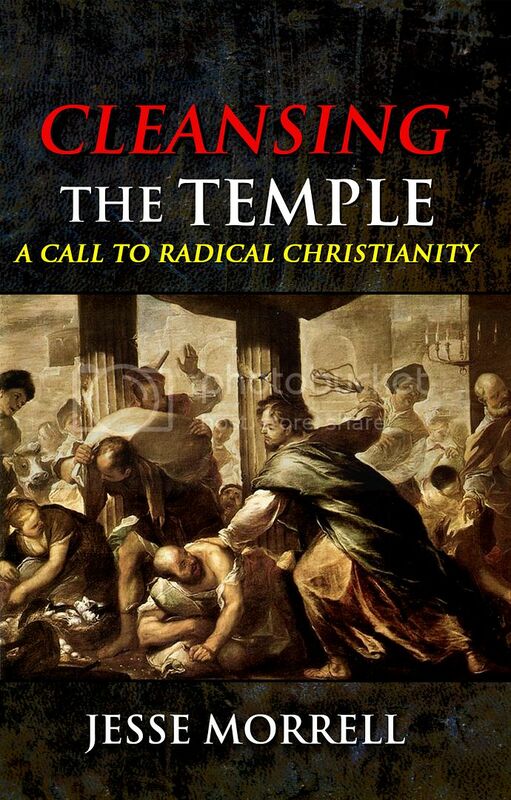 About ten years ago I wrote a book called “Cleansing the Temple: A Call to Radical Christianity.” It is a compilation of fiery articles. I had submitted it to a few publishers back then but it was turned down so I put it on the back burner and moved on. 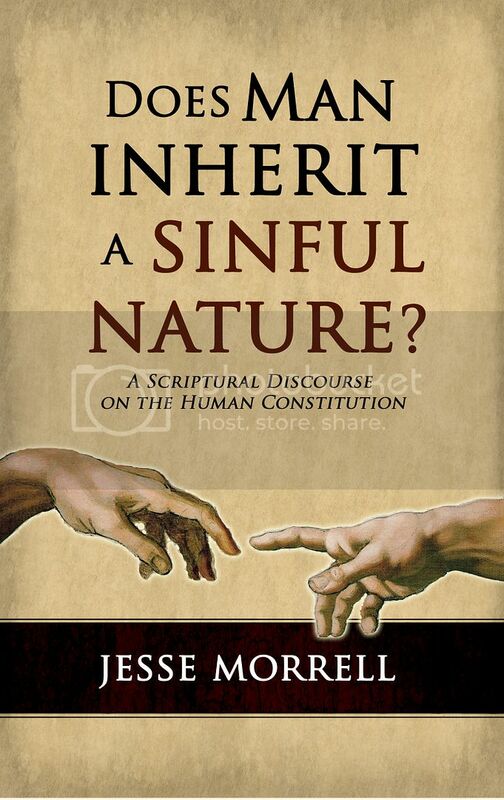 Now that self-publishing is easier than ever, I am reading through this book to edit it and get it ready for print. Since it is already written it shouldn’t take me too long. I hope to have it published before the summer is over. 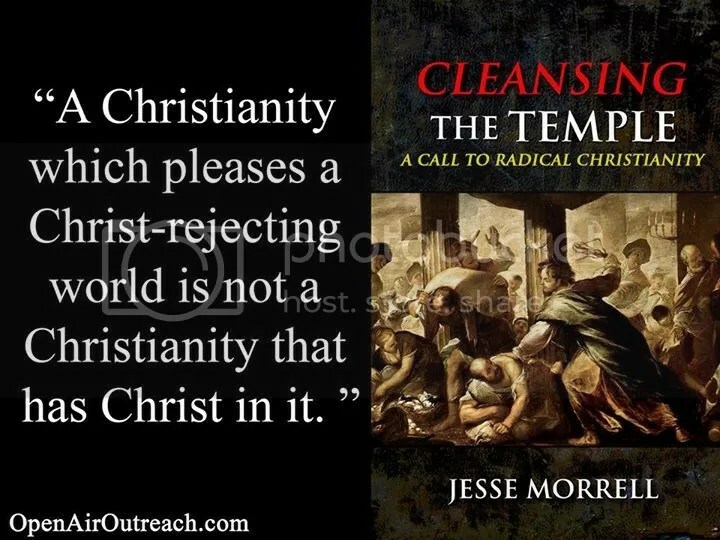 I am also still working on my book “The Vicarious Atonement of Christ,” but as that is a very in-depth theological study it is still going to take more time. I hope to find time this summer to work on my atonement book as well. 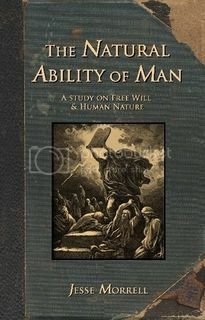 This entry was posted in Uncategorized and tagged Apologetics, arrested, Charles Finney, Cops, evangelism, festival, healing, inner city, Jesse Morrell, ministry, moral government theology, open air, Open Air Outreach, Police, prayer meeting, preacher, Preaching, Revival, Soul Winning, street. Bookmark the permalink.